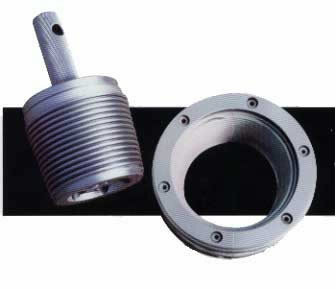 PWS?s Thin Dense Chromium coating is applied through an electro coating process. It is an extremely hard precision coating applied to metal under rigid quality controls to produce amazing wear and corrosion-resistant surfaces. The coating can be applied to most metal types, ferrous and non-ferrous, with the exception being aluminium, manganese and titanium. PWS?s Thin Dense Chromium offers a unique solution to chromium coatings. Unlike conventional hard chrome, PWS?s Thin Dense Chromium is far more durable, flexible and can be applied to a far greater range of products and applications not possible through normal conventional means. Thin Dense Chromium conforms exactly to the base metal surface. All threads, flutes, even scratches are reproduced in detail. The finished Thin Dense Chromium coated surface has excellent lubricity qualities. PWS?s Thin Dense Chromium process is performed at low temperatures (below 60° C), eliminating growth, distortion or warping. 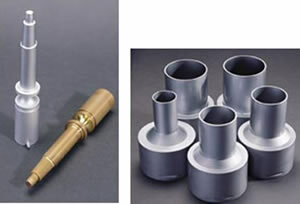 This low temperature process will not affect the mechanical characteristics of the base metal such as hardness, strength, creep, ductility, elasticity or toughness Thin Dense Chromium will perform well at temperatures normally experienced in manufacturing. It will withstand ambient temperatures between -240º C to +840º C. PWS?s Thin Dense Chromium maintains its corrosion protection and friction reduction capabilities across this temperature range. PWS?s Thin Dense Chromium will not chip, flake, crack, peel or separate from the base material under standard ASTM bend tests or under conditions of extreme heat or cold. PWS?s Thin Dense Chromium, being compatible with both ferrous and non-ferrous metals, allows maximum design selection of base materials. Aluminum, magnesium and titanium are not considered good candidates for base material selection.Improved Release Characteristics Thin Dense Chromium helps reduce maintenance requirements and downtime in the mould industry due to the smooth, micro-nodular surface produced by the coating. This will lead to more shots and shorter cycle times. Moulding areas stay cleaner longer and require less maintenance while burnt on plastic and rubber can be quickly removed. Thin Dense Chromium process control prevents the Embrittlement phenomenon from occurring, though manufacturing conditions may not, necessarily, be removed. The PWS?s Thin Dense Chrome process will not affect the tensile, yield of fatigue properties of the base metal. Conforms to ASTM-B177, AMS-2438a (10/98), ASM-2406, Mill Spec. QQ-C-320B Class 2 Type 2, USDA/FDA compliant for use on food processing equipment and pharmaceutical applications. 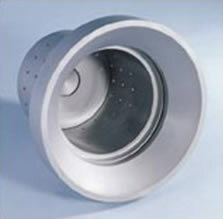 Our Aluminum coating was developed to meet the challenge of protection for ALL aluminum alloys. This technologically advanced coating provides a precision deposit of a dense, non-magnetic, high chromium alloy deposited directly on the aluminum substrate. Aluminum acts as a cathode during the coating process leaving voids in the coating which lead to corrosion problems. The thermal expansion seen with aluminum alloys differs markedly from most metals used in electroplating. This factor causes most conventional plating products to peel, chip, flake and not adhere to the base aluminum substrate. Our coating offers an extremely hard (70-72 Rc) surface providing an unusual combination of bearing-type properties, low friction coefficients, longer wear life and excellent corrosion protection. Deposit thickness for most applications can be engineered up to .001" per side. The coating WILL NOT chip, flake or peel in application. Our Aluminum Coating is non-reflective, matte satin-gray coating. It is uniform in deposit thickness and consistent in appearance, eliminating staining and discoloration problems.